New Delhi: “Follow the laws, rules and regulations of whichever country you live in and at the same time cherish and value the traditions and spirit of your motherland. 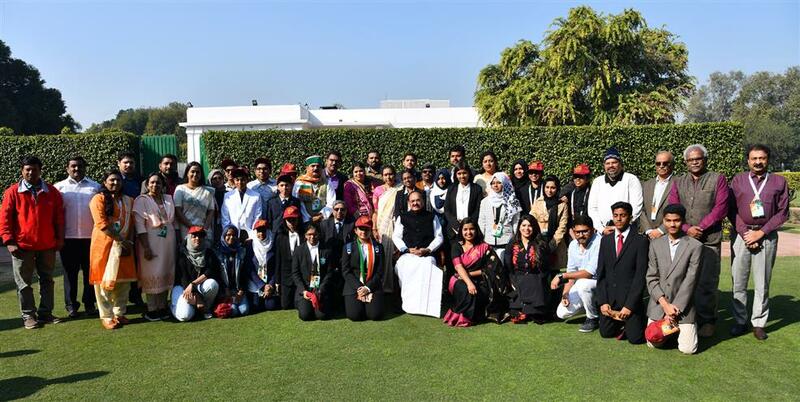 You must act as India’s brand ambassadors and uphold our cultural ethos and values in faraway lands”, the Vice President of India, Shri M. Venkaiah Naidu told NRI students from Gulf countries who are on a tour to India, here today. 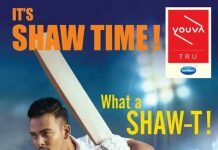 The students are the winners of the “Proud to Be an Indian 2019” contest conducted by Asianet News. 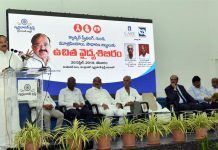 Stating that the world has shrunk into a global village, Shri Naidu urged the students to be global citizens but at the same time to have a thorough understanding of our glorious civilisation, ancient past, history, culture, traditions, customs and festivals and the wisdom handed down to us from Vedas and Upanishads. Speaking about India’s great philosophy of ‘Vasudhaiva Kutumbakam’ the Vice President said that India never attacked any country and always believed in peaceful co-existence with all. ‘One corollary of the concept of the whole world being seen as one family is the attitude of empathy, of sharing and caring, of a sharp focus on alleviating the agony of fellow human beings’, he added. Quoting Mahatma Gandhi who said that “The best way to find yourself is to lose yourself in the service of others”, Shri Naidu expressed hope that India’s commitment to the cause of promotion peace, tackling climate change, harnessing solar energy and conserving nature would result in a better life for people all over the world. Highlighting Indian economy’s growth trajectory, Shri Naidu said that in spite of the world slowing down, India was surging ahead, powered by a consistent GDP growth rate of over 7% and buoyed by the huge demographic dividend that lay in its burgeoning youth population. Shri Naidu said that it is time that we give up ‘colonial mindset’ and encourage the talent, skills and craftsmanship inherently present in every Indian. He opined that along with preserving our traditional values which play a strong role in India’s social fabric such as selflessness, peace and respecting elders and teachers, we need to promote gender equality, inclusion and openness. ‘We need knowledge, but also wisdom’, he added. Reasoning that India is at a juncture in its history when it cannot be pulled back to the dark ages by abhorrent social practices such as discrimination, bigotry and prejudice, the Vice President urged young people to break free of the regressive dogmas of caste discrimination and gender based violence. ‘Imbibe new and progressive values and build a better tomorrow’, he told the students. Saying that India has always been a vibrant democracy, firmly rooted in secularism and values of tolerance, acceptance and peace, the Vice President implored the students to have the first and foremost allegiance to the constitutional values of the country, those timeless ideals that have brought our country to the position that it is at today. ‘This commitment to the constitution, to your fellow human beings and the unity and integrity of the nation, is the essence of true nationalism, of true patriotism. ‘Sarva Dharma Sama Bhava’ is in every Indian’s DNA ’, he added. The Vice President said that the citizens of tomorrow should also be empathetic to the plight of the less fortunate and generous to the needy. Opining that moral science which was a mandatory subject should once again be revived, Shri. Naidu said that students should imbibe ethical values and always remain committed to high morals. He congratulated Asianet News for providing an opportunity to students to gain exposure and experience by visiting India.